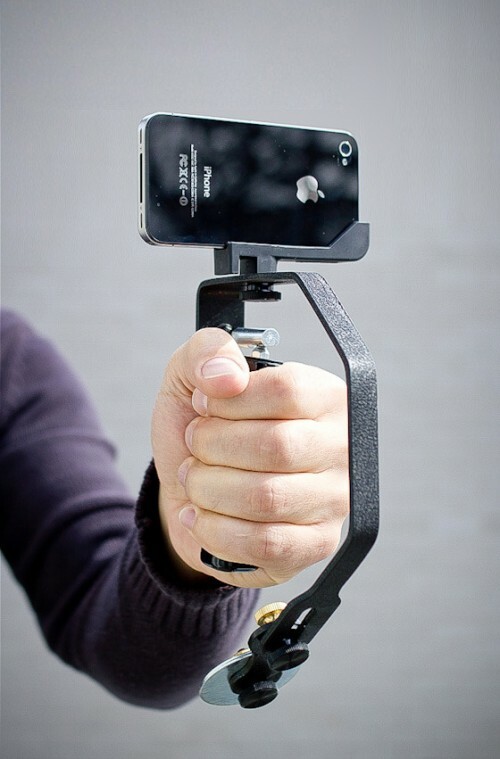 Picosteady: A SteadyCam For your iPhone | OhGizmo! Mr. Blurrycam’s first cousin is Mr. Shakycam. They make for a fine pair as together they make up a sizeable portion of the pictures and videos found online. And while the Picosteady pictured above doesn’t help Mr. Blurrycam much (just learn to focus, already), Mr. Shakycam could be out of a job. A SteadyCam is usually an expensive piece of equipment that stabilizes cameras and allows for those smooth, gliding shots you see in movies. It’s not something that you typically use with an iPhone. But if this Kickstarter project is successful, you’ll be able to do just that. It’s got a pivoting handle and a counterweight and accommodates a range of cameras, not just the iPhone. And from sample videos they’ve provided, it seems to do a fine job indeed. It’s smaller than a lot of the higher-end rigs and probably does still require a fair amount of care on the part of the operator, but for the smaller, harder to eliminate vibrations, it’ll do just fine. It’s $139 on pre-order on Kickstarter, after which it’s expected to go up to $179 in retail.